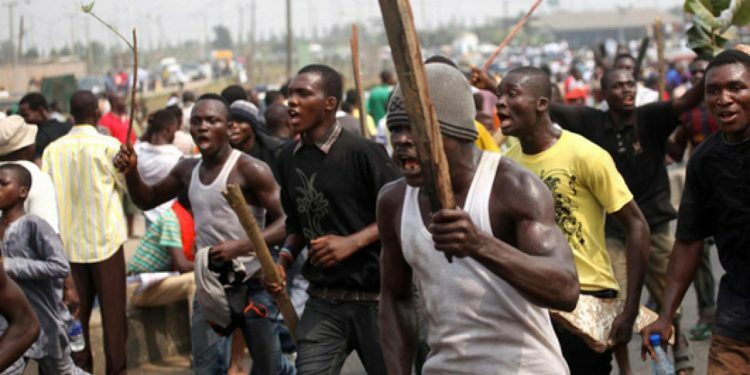 Two persons have reportedly lost their lives in a bloody clash between two rival cult groups in Ondo, headquarters of Ondo West Local Government Area of Ondo State. One of the deceased who was identified as Olaleye Isiaka, was said to be the leader of Eiye confraternity in the town. It was gathered that Olaleye had gone to a motor park in the town where a clash broke out between his group another group called Ayee confraternity. It was learnt that while they were in the area, some group of boys suddenly emerged and shot sporadically, a development that sent people around the area scampering for safety. The late Olaleye was said to have made frantic efforts to escape from the scene after several gunshots fired at him did not penetrate his body. He was said to have been attacked with cudgels before he died. Also, a yet-to-be-identified person was found dead at the scene of the incident. The incident has however caused serious pandemonium in the town as some youths staged a demonstration to protest against the killing of the two suspected cult leaders. The protesters who blocked major roads in the town also prevented commercial and social activities from taking place in the affected areas.